World-renowned TV show “Top Gear” and “Forza Motorsport 5” have teamed up to deliver an all-new car pack for the critically acclaimed Xbox One racing title, featuring ten stunning vehicles for players to collect, race, and customize – all built from the ground up for the new generation. The Top Gear Car Pack (included as part of the “Forza Motorsport 5” Car Pass), available today for $9.99USD includes all ten cars, including the bonus 2013 Holden #10 Xbox Racing Team Commodore VF – all of which are immediately accessible in your “Forza Motorsport 5” garage. Each car can also be individually purchased, a la carte, via the Xbox Live marketplace. Launching in 1977 as a conventional motoring magazine program, Top Gear has become the world’s most widely distributed factual TV show and is an automotive entertainment powerhouse. Top Gear is also home to their “tame racing driver” The Stig, whose true identity remains unknown, but what we do know is that he puts down blisteringly fast laps on the Top Gear Test Track in Dunsfold, England. Beginning April 1, Fans will have the chance to pit their driving skills against The Stig’s “Digital Cousin” in an all-new Rivals event set on the iconic Bathurst Circuit at Mount Panorama, Australia. Take to the track in the 2013 Holden #10 Xbox Racing Team Commodore VF, push as hard as you can to set your best time possible and try to beat the Stig’s Digital Cousin. Some say this one can be beaten! Upon successfully completing this Rivals event, all participants will receive an in-game credit reward. Additional prizes will be awarded to those who finish in the Top 10, including a special Stig Prize Pack from “Top Gear” for the top winner. The Stig’s Digital Cousin will be racing under the Gamertag “Stigs Digi Cuz”. To enter this Rivals event you must own the “Forza Motorsport 5” Top Gear Car Pack DLC. You can access the Challenge rules here. The Chaparral 2E’s influence on race car design is profound, perhaps more so than any other car of its era. The 2E was the first car to be designed from the ground up to take full advantage of downforce. In addition to its ducted nose, which channeled air to maximize grip, it had a massive wing that measured four feet, six inches from the body and was mounted directly to the rear suspension uprights. This concept took the load off the chassis and put it directly on the hubs. The wing could be flattened out as speed increased via a pedal that lived where most cars had a clutch. This leads us to another innovation of the 2E. Thanks to a backdoor relationship with GM, Chaparral’s owner Jim Hall had access to a number of cutting-edge semi-automatic transaxles, leaving the driver’s left foot available to operate the wing. Chaparrals won many races in their time, including at Sebring, the Nürburgring 1000, and, later, the Indianapolis 500. The 2E was competitive and won at Laguna Seca in 1966 with legendary driver Phil Hill at the wheel. Trading weight for power, the 2E utilized an all-aluminum 5.3-liter Chevrolet V8, compared to the six- and seven-liter iron block engines run by other teams. These innovations in aerodynamics and engineering propelled the competition to experiment with adjustable wings until several accidents forced adjustable wings to be banned from racing at the time. All six original Chaparral 2Es are still owned by Jim Hall, although replicas are now being produced. Andy Priaulx and Mattias Ekström drove the #10 to a stunning top-ten finish in the 2013 Bathurst 1000 and achieved the best wildcard finish in Australian motorsport history. The Triple Eight Racing-built Commodore VF was a wildcard entry and worked up from 18th in the starting order to lead the race for a total of 17 laps. 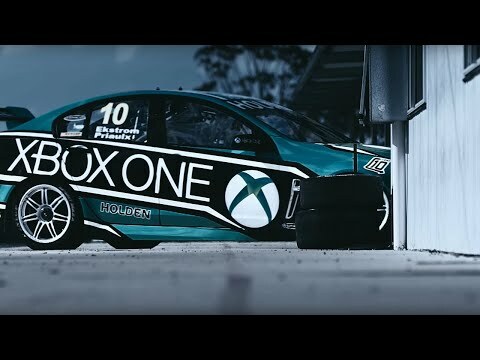 The Xbox One Racing Team was formed with championship-winning Triple Eight Race Engineering for this one-off race effort to celebrate the addition of Bathurst race track to Forza Motorsport 5. The fact that the car – and its drivers – surprised everyone with their performance added to the spectacle of what is one of the world’s most difficult endurance races. Take an RS4 Coupe, add three doors and what do you get? Quite obviously you get the most incredible performing estate on the market, and enough thrill factor to make even the most prodigious family man smile at the thought of a trip to grandma’s house. Even with 2.5 kids, the family dog, and a weekend’s worth of snacks loaded up, the RS4 Avant will blow the doors off of most anything it encounters short of a supercar. The rich and silky rasp of this 4.2-liter V8 as it approaches a vivacious 8,500 RPM redline is an audible wonder. This is a wagon that will eat M3s as it barks through each gear of its seven-speed, dual-clutch transmission. Sure, it’s a wagon, but one look at the huge air intakes up front and its sweeping graceful form and distinctive RS4 badging will attract attention from anyone who appreciates the notion of practicality being outmatched by performance. The SuperSportVan is the latest creation in a long-standing series of Ford-built custom transit vans dating back to 1971. The first one, the Transit Supervan was based on the Ford GT40 and could reach 150 mph. A later version, the 1984 Supervan II, was built with a Cosworth racing engine and hit a speed of 178 mph at Silverstone. The 2011 Ford Transit SuperSportvan is a bit tamer and dons Le Mans bonnet stripes and an eye-catching livery on the outside. Inside is the 3.2-liter, 198-horsepower Duratorq TDCi engine taken from the much larger Transit Jumbo. What’s the point? It’s a one-off design to show that Ford engineers can have fun too, and it was unveiled at the 2011 Commercial Vehicle Show in Birmingham, UK. It also presents a vast canvas for designs and further customization for Forza Motorsport 5 fans. The Hummer owes as much to actor and former Governor of California Arnold Schwarzenegger as it does to its militarized predecessor, the High Mobility Multipurpose Wheeled Vehicle. While the capable “Humvee” proved itself in the Desert Storm conflict, Schwarzenegger and others loudly campaigned for a civilian version to be sold to the public. The two events pushed the Hummer into production, and its success brought it to the attention of General Motors, who produced the original Hummer as the H1. The Alpha is an improved H1, ditching the molasses-slow GM diesel for a much quicker (by comparison) Duramax intercooled turbodiesel. The swap adds a much-needed 95 horsepower, giving the H1 Alpha a reasonable 13-second run to 60 mph. While it won’t terrify any sportscar in a drag race, that’s enough power to make the H1 Alpha a much more livable on-road proposition. 2006 was the last year for the H1, while the rest of the Hummer brand soldiered on for a few more years before off-roading into the sunset in 2010.